A Jillian Vance Design: boo...! Happy Wednesday AJVD fans!!! 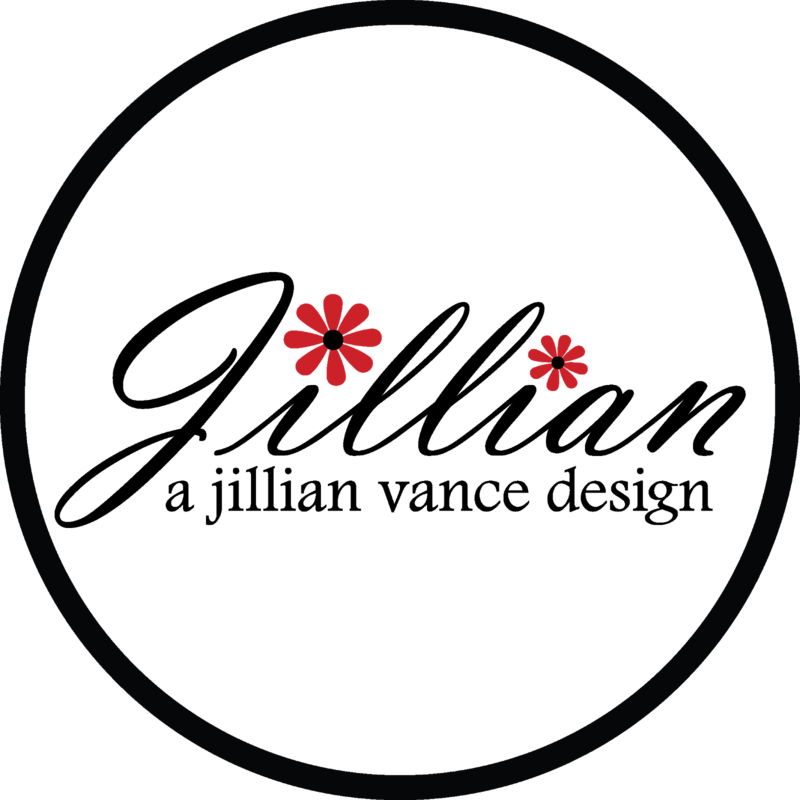 Rosemary here with my regular Wednesday post. 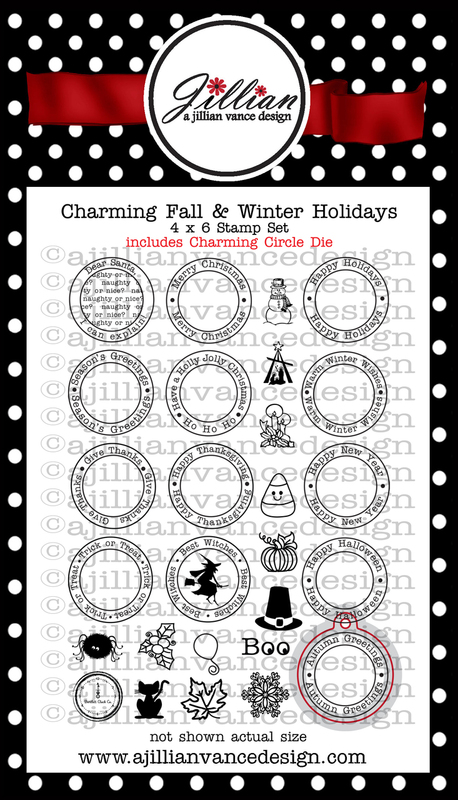 Halloween is just around the corner so I have a Halloween card to share using a new stamp and die set called Charming Fall & Winter Holidays. 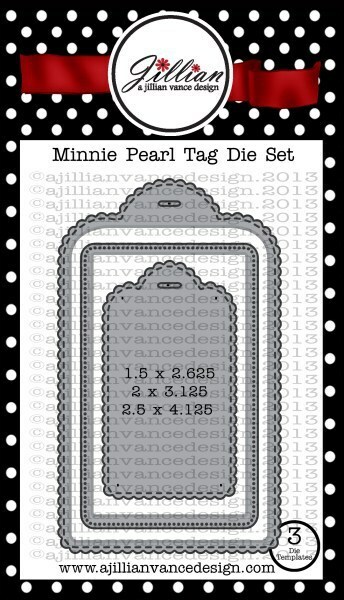 This set comes with a cute little circular tag and sentiments and images that fit perfectly inside the tag. I recently purchased a bundle of American Craft Halloween items. 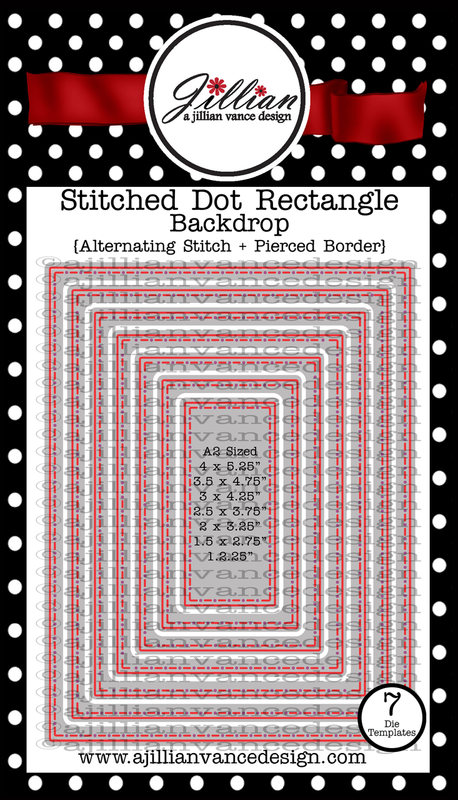 One of the items in the bundle was a pad of paper and I used two different patterns for my card. 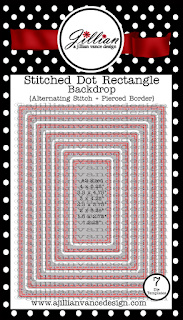 I die cut a piece with an overall pattern done in orange using the second largest die from the Stitched Dot Rectangles set. 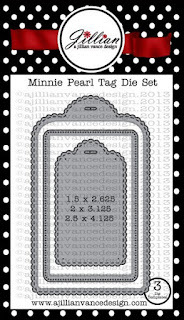 A tag was die from a second piece of patterned paper using the small tag from the Minnie Pearl tag set. The sentiment circular Happy Halloween sentiment was stamped in orange on cream cardstock and then the word boo added to the center using black ink. That was then die cut with the matching tag. All the pieces were inked with Tea Dye distress ink. I cut a length of black twine, wrapped it around the main panel, threaded it through the opening in the tag and tied it in a bow. 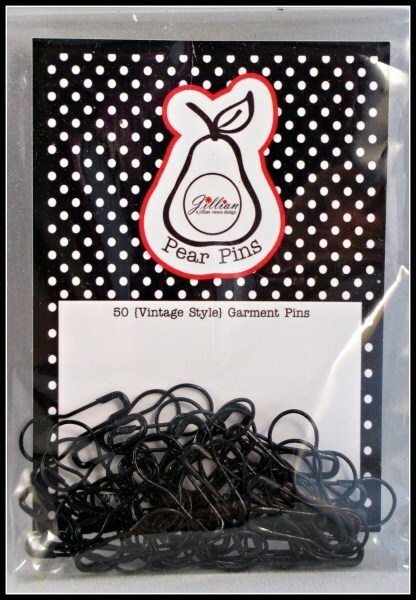 A black AJVD pear pin was used to attached the second tag to the bow. I wanted the first tag to remain at an angle so I adhered that down with some foam adhesive. For a little finishing touch I added the orange mini clothes pin. The entire piece was then adhered to a kraft cardstock base. Oh wow--now this is my kind of Halloween card, Rosemary! Absolutely love every element & how you put it together! 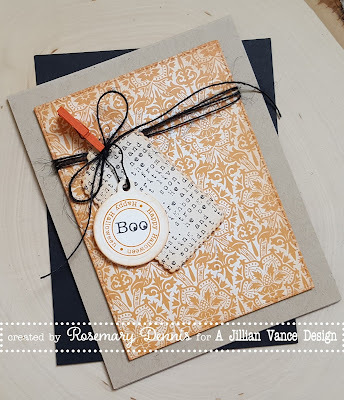 I love tags on cards and your's look perfect on that pretty background paper! Marvelous card Rosemary!! 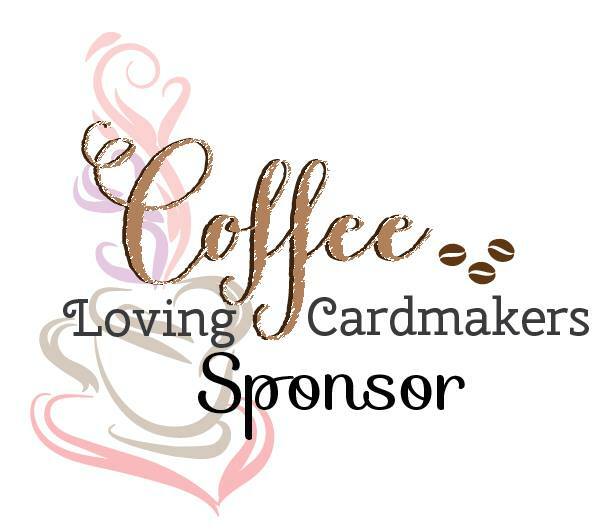 WOW I love this card Rosi!